At Penn High School, I teach classes in mass-communication. Since beginning my career in 1994, I have found that having a real audience motivates students to write with a higher level of concern. For that reason, I try to give all of my students a real audience. Mass Media and Technical Communication is the first class I see on a Gold day. They are the second and third-year publications students who make PNN go. They work hard to produce as many as a hundred shows a year, and they take on other production jobs around the school. They develop portfolios as they build and maintain our website, our show, and PNN’s legacy. 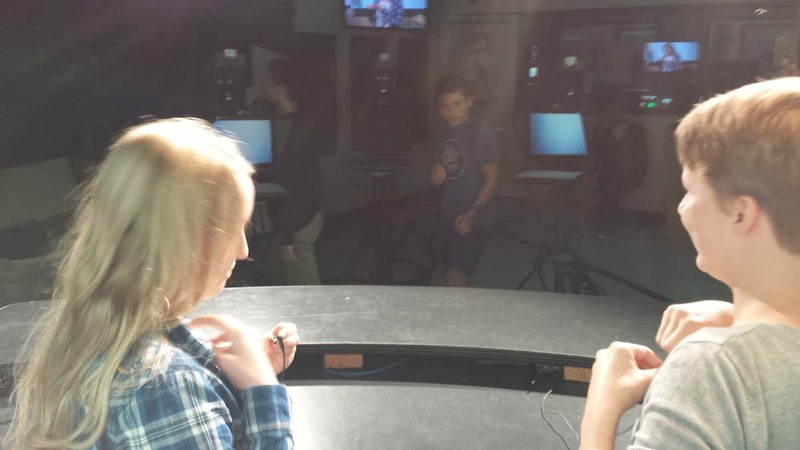 Journalism Broadcast is the introductory class students take in mass-communications. In this class, students learn about the inseparability of media and culture and the fundamental elements of mass communication. In the second semester, these students take over the PNN show so that the advanced students can work on in-depth news packages. Telecommunications class is one where students learn to operate a studio for regular live recordings in front of studio audiences. We schedule live shoots during this hour so that students can learn the dynamics of multi-camera, multi-microphone, multi-set recording. These students also produce segments out in the field, but their work centers around using the television studio for purposes other than the news. Mass-communication in Biology is a thirty minute enrichment class where honors biology students can study baboons of the Kenyan savanna. Funded by the National Science Foundation and in cooperation with University of Notre Dame Associate Professor, Dr. Elizabeth Archie, this class teaches students how to mass-communicate about science more effectively. Seminar in Film Literature is the class where students get to make independent films. Students begin with shorts such as music videos, PSAs, & commercial spots and they move on to documentaries and narrative films. Beginning with the basic shots, students learn to use images and sound to convey emotion and tell stories. You can watch the latest film festival films here. Media Camp is a summer camp offered to young broadcast journalists of St. Joe County. Student journalists cover camps that are taking place at Penn High School and tell the stories of those camps and the kids who take them. 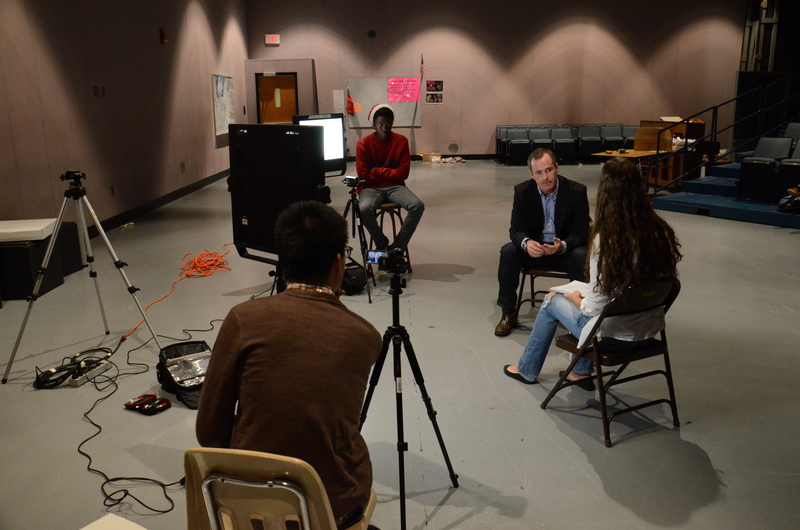 They use cameras, tripods, microphones, and the PNN Studio in order to gather these stories. In the summer of 2015, the Media Camp went west to South Bend to cover the downtown and some of its attractions. In the summer of 2016, the camp will become a Language Academy, and it will be geared toward second-language learners. Teacher Training changes all the time, so keeping up with trends and innovations can be a challenge. For Penn High School, I have assisted in professional development in the areas of writing instruction, student portfolios, teacher websites, learning management systems, and classroom best practice. If you are a student trying to access your class content, please follow this link to log in to Canvas. If you would like to know more about any of these classes or camps, please use the contact form to get in touch with Kevin McNulty.